We interviewed Market Authorities to ask important questions concerning "attendance by" interior designers. 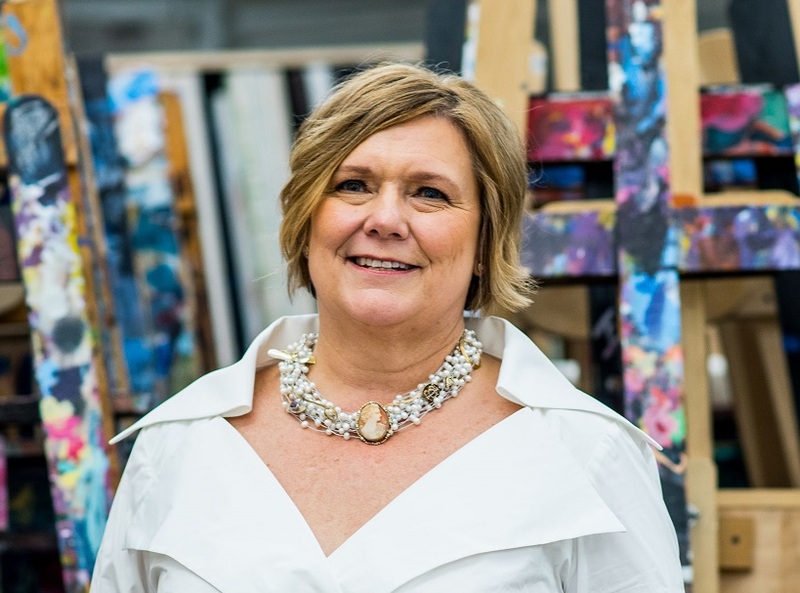 Held every spring and fall, High Point Market wholeheartedly welcomes interior designers to attend, says Ashley D. Grigg, director of marketing and communications for High Point Market Authority, pointing out that there is no fee for registration. While market is always completely free, says Ashely, designers should invest some valuable time in planning ahead and digesting the information they share via their website, social media and emails. “You wouldn’t go to Disney World without a plan; I don’t recommend trying to tackle our 12 million square feet of showrooms without one either!” she says. Ashely is available to answer any questions to help ensure you have a good experience at High Point. In addition, the credentials required to qualify for a buyer pass can be found at www.highpointmarket.org/register. The friendly and helpful market advisor team can be reached at (336) 869-1000 or info@highpointmarket.org. years. We recently reached out to her for some expert advice on how to get the most out of attending. 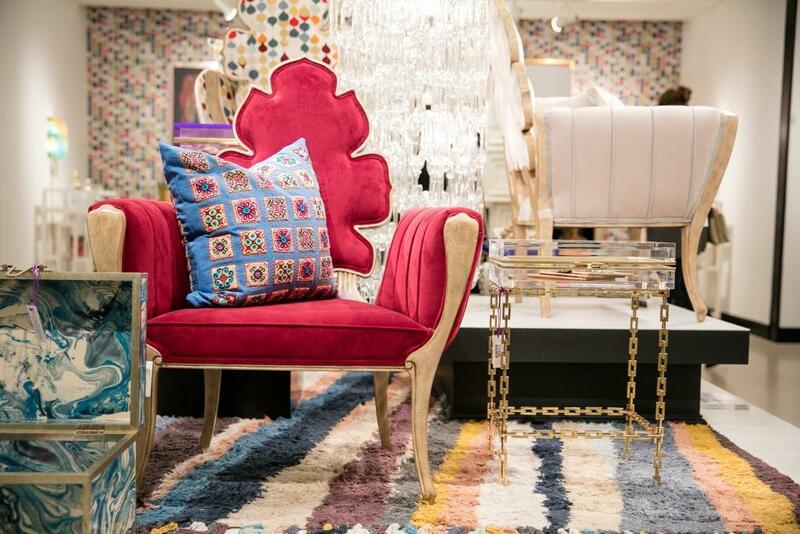 Q: Is High Point Market important for interior designers? A: Yes! It’s a market that’s only done twice a year, and almost every showroom is closed between those two markets. It’s all that everybody has ever said about it, if you’ve heard experienced designers. To see the depth and breadth of products is amazing. A lot of new designers, particularly, seem to gravitate toward retail stores’ “designer programs,” where basically they’re getting a 10 percent or 20 percent discount off retail. As a business model, that makes absolutely no business sense for a designer. You’ve got to go see who’s out there, what resources are available, and where you can open accounts and make money. It’s a one stop shop. Also, every manufacturer has a flagship showroom there, so it’s like seeing every piece in their catalog up close and personal, and you’re also seeing all the new product launches. I know a lot of designers are working digitally, but to see a color or texture or patina up close and to touch and feel it is completely different than seeing it on a computer screen. The other aspect is seeing the scale and proportion. Creating an emotional connection between the designer and the piece makes your job in selling and recommending to the client that much easier. It’s also about spotting and validating trends and learning the design narrative and backstory. Each piece has a story behind it and that’s what our client is looking for as part of the buying experience. Opening accounts and building relationships that will continue once you leave market just builds a better bottom line for you. And it’s also about networking with the other professionals. Q: What advice would you give to a designer attending for the first time? A: Pre-show planning is key. Learning to navigate it is the most important thing. Plan Travel and Accommodations – There are some challenges, but they aren’t insurmountable. It’s in High Point, North Carolina and there is one hotel in that town, so you’ve got to plan for your visit. You fly into either Charlotte, Greensboro or Raleigh, and then you’ve got to get to High Point. Second of all, you’ve got to find a hotel room within a 30-mile radius. Because of short supply of rental cars, be sure your hotel is on the market hotel shuttle route. Be Flexible - Get there early each day. Pick up a map and directory and map out the showrooms you want to see on a daily basis. Familiarize yourself with the shuttle system, so you can coordinate your plan with stops along the route. Each night, reevaluate the list based on your experience and conversations with others that day and see if you need to rearrange your plan. For example, there are lots of product launches at each market and there are always three or four manufacturers that haven’t been on anybody’s radar screen that knock it out of the park. You’ll hear that buzz and want to be sure to see them. Q: Should they attend without a group? A: For new designers especially, there’s a lot of added value in attending with a group, starting with networking and creating design friendships that last beyond the event. Typically, there are about 25 in a group from all over the country, and you’ll learn a lot listening to them talk about how they run their businesses and how they handle the challenges of being a designer. Also, attending a group tour takes a lot of preplanning off your plate and provides some VIP treatment you wouldn’t otherwise get. You’ll be seeing the best of the best showrooms, often scheduled around a special event such as a private luncheon or cocktail party, and hearing more in-depth presentations, usually from the CEO, the owner or the creative director. For group information, email support@dsasociety.org. We are taking names for the October show and will help you connect. Q: Do all showrooms accept designers or do they prefer retail shops? A: That’s a case-by-case situation, but most do. Since the recession and now the upswing of High Point coming back on the map the last eight years, they understand the value of designers, and most manufacturers are now opening their showrooms and either lowering or doing away with minimums. Retail is going away from brick and mortar anyway. Ask how they work with designers, whether they have a minimum open to buy or a minimum number of pieces to buy. If you can’t meet the minimum, you might join with other interested designers and arrange a co-op buy. Q: How should I prepare for my trip? A: First timers should remember it’s about being a professional. Dress is business casual but wear comfortable walking shoes and bring a tote. To save a lot of time and boost your appeal as a professional, create what we call “a business one sheet” with pertinent information: contact info, website, three references from manufacturers in the industry, bank information (not account numbers), tax id number, shipping receiver – all those questions that will be asked on an application if you’re opening an account. Staple your business card to it and bring plenty of copies to hand out. Create a list of manufacturers and companies you want to see. Do your research ahead of time through the market website or app. With over 200 showrooms and 3-4,000 exhibitors, if you don’t go in knowing who you want to see or what category you’re looking for, you’re going to be overwhelmed. Schedule appointments ahead of time as well as any education or social events you want to attend. Use your phone’s push notifications or alarms to keep you on schedule. There is a reception desk at most High Point Market showrooms where industry professionals check in because it is a “to the trade” show, so bringing your client isn’t an acceptable practice. It would be too overwhelming, plus you should be the one who is curating on delete) the project. You can take pictures to show the client. Also, as a designer you need to do your due diligence before you arrive by understanding who the manufacturer is and at the very least checking out their website so you know what questions to ask. Be prepared and be professional so they know you’re definitely interested. Q: Does market take the place of design centers or local reps? Do they help me with local connections? A: No, but again that is something that we’re seeing changing pretty rapidly. There’s a lot of online discussion about the demise of the showroom and design center. They’re not effective investments for manufacturers anymore, and there’s a great swath of the country that isn’t anywhere near a design center. Another part of that is local reps. It’s very expensive to have local reps, so they’re taking on larger territories and more accounts. That’s why it’s important to go to market because you probably won’t see a local rep, you’ll just have an email conversation with a rep if you’re trying to open an account. And you might not be close to a design center.